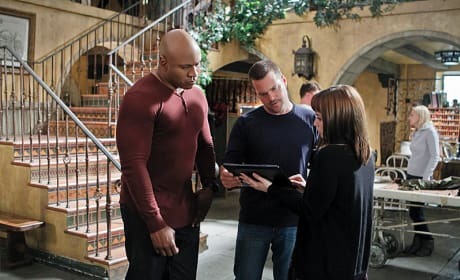 Nell updates Sam and Callen with intel about the case. 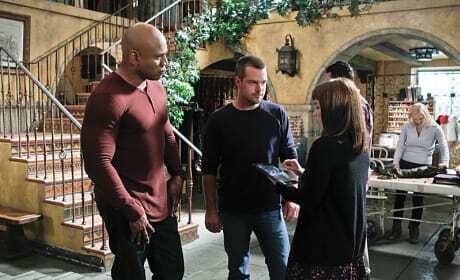 Nell approaches Sam and Callen with information about the investigation. 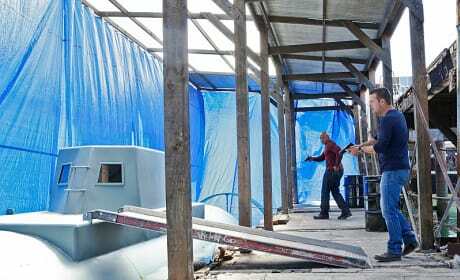 Callen looks inside the sub, while Sam covers him. 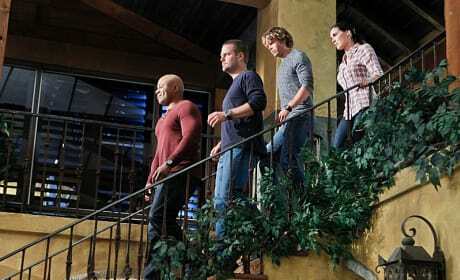 Sam and Callen are on location on the NCIS: LA season 5 finale. 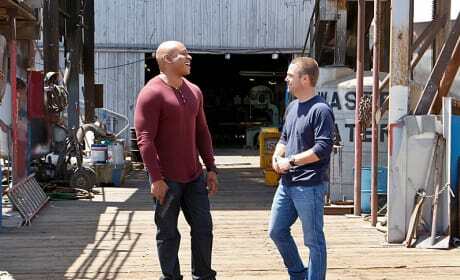 Sam and Callen on the dock during the Season 5 finale, "Deep Trouble." 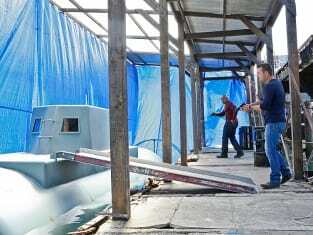 Sam and Callen find a submarine being used to transport drugs.